Introducing the All-New BMW M6 Gran Coupe. Thread: Introducing the All-New BMW M6 Gran Coupe. Woodcliff Lake, NJ – December 12th, 2012… In early summer 2013, the all-new BMW M6 Gran Coupe will join its famous BMW M5 Sedan and M6 Coupe siblings as what is perhaps the perfect combination of both. The BMW M6 Gran Coupe is an ultra-high performance, four-door Coupe design with stunning aesthetics, race-bred technology, and the signature driving character of BMW M GmbH. To achieve the performance levels of the new M V-8, the engineers at BMW M GmbH started with the proven BMW M-developed 4.4-liter V-8 engine from the BMW X5 M and X6 M (internally known as the S63B44 engine) and further developed it for its duty in the latest M5 and M6 models. Internally designated S63B44Tü, this engine uses similar M Twin Power technology combined with the reverse-flow V-8 layout. The result is that the high-revving V-8 engine lends a fresh intensity to the powerful M car experience. The S63Tü develops a peak output of 560 hp (412 kW) at 5,750 – 7,000 rpm (versus 555 hp at 6,000 rpm for the S63), while its maximum torque of 500 lb-ft (680 Nm) is on tap between 1,500 and 5,750 rpm (versus 500 lb-ft from 1,500 to 5650 rpm for the S63). The rev limiter intervenes at 7,200 rpm, up 200 rpm from the original S63 engine and now accessible in each gear until the top speed limiter intervenes. The rev band, which offers extreme acceleration between peak torque and the availability of maximum horsepower, is therefore almost three times as wide as that of the V10 engine from the previous generation of M engines. The patented cross-bank exhaust manifold, first introduced in the S63 engine of the X5 M is also employed in the S63Tü, but with slightly larger tube sizes. This exhaust manifold is a special 8-into-4 setup that combines the exhaust from two cylinders (on opposite banks) that are 360ËÂÂÂÂ? of crankshaft rotation apart from each other. Each of the eight runners is of identical length to ensure perfectly-regular timing of exhaust gas pulses. The acoustic sound of this engine arrangement is absolutely signature to BMW M.
Each of the four manifold outlets is fed into each of the four available scrolls of the two twin-scroll turbochargers. The two scrolls of a twin-scroll turbo guide each exhaust pulse directly to the turbine without feedback or interference from the other scroll (that are fed by cylinders at other points in the combustion process). Additionally, dividing the gases into two smaller paths (scrolls) results in higher gas velocity than a single larger path. This enhances the turbocharger’s response, thereby reducing lag. The crossover manifold is configured so that the second scroll of the turbo is fed by two cylinders that are 180ËÂÂÂÂ? out of phase with the first scroll. In this way each turbocharger receives distinct exhaust pulses every 180ËÂÂÂÂ? of crankshaft rotation (from one of four cylinders). Furthermore, the two turbos receive exhaust pulses that are 90ËÂÂÂÂ? offset from each other. The result is that throttle response is sharpened and turbo lag is reduced to a minimum. The new engine also sports larger intake runners, larger air to liquid intercoolers and a tuned exhaust which results in the engine making power more quickly than previously possible. Finally, the S63Tü uses a maximum boost pressure of 1.5 bar (21.7 psi) versus 1.2 bar (17.4 psi) for the original S63 engine. The shift lever offers a sequential shift pattern for the manual gearshift mode. Alternatively, the driver can also change gears using the shift paddles on the M leather steering wheel, complete with multifunction buttons. In typical M configuration, the driver pulls the right-hand paddle to shift up and the left-hand paddle to shift down. The newest M steering wheel stands out with its smaller rim diameter and a design that borrows from the double-spoke design of the M light-alloy wheels. The Active M Differential in the new M6 Gran Coupe is an electronically controlled multi-plate limited-slip differential programmed to optimize traction, stability and sporting character. The locking force within the differential is varied continuously between 0 and 100%. Each component in the suspension and chassis of the new M6 Gran Coupe has been developed based on the extensive race expertise of BMW M engineers. The aluminum-intensive integral rear axle subframe in the M6 Gran Coupe is rigidly bolted to the body to maximize body rigidity and handling precision. Reinforced chassis mountings at the front and rear axles ensure that dynamic forces are passed through to the body structure. Specially tuned axle kinematics and newly developed forged aluminum suspension components boasting high strength and low weight meet the requirements of everyday driving and the specialized demands of track use. The result is that the BMW M6 Gran Coupe continues the BMW M tradition of engineering a chassis that is “faster than the engine”. As with every BMW M car, the engineers carried out the fine-tuning during extensive testing on the legendary Nürburgring Nordschleife circuit. The new BMW M5 and M6 family will be the first cars in the history of BMW M to be offered with optional M Carbon-Ceramic brakes, which become available with Spring 2013 production. These new brakes are without parallel and take the cars’ stopping power to a new level – especially on the race track. The brake rotors measure 16.1 inches (410 mm) in diameter at the front and 15.6 inches (396 mm) at the rear. Made from a carbon-fiber ceramic composite, the rotors boast even greater resistance to heat combined with significantly reduced rotating masses. The M Carbon-Ceramic brakes are 42.8 lb (19.4 kg) lighter than the standard brakes, yet the innovative material also displays exceptional resistance to wear, and the operating life of the rotors is several times that of conventional equivalents. The optional M Carbon-Ceramic system also sees six-piston fixed radial calipers at the front teamed with single-piston floating calipers at the rear. The M Carbon-Ceramic system can be easily identified through the wheels by the special gold-colored calipers. Prominently flared wheel arches draw the eye to a track width specific to the BMW M6 Gran Coupe. The characteristic M gills, aerodynamically optimized exterior mirrors, standard BMW Individual High-gloss Shadow Line package and exclusive 20-inch M light-alloy wheels in double-spoke design underline the car’s distinctive appearance, as does another M signature – twin exhaust tailpipes positioned on the outer edges of the rear apron. Also integrated into the rear apron, and charged with the task of optimizing the exit of airflow from the car’s underbody, is a diffuser made of carbon fiber composite. The M instrument cluster with black-panel technology includes classic circular instruments in traditional BMW M car style, with red needles and white illumination, as well as model-specific displays and the M logo on the rev counter. The shift program currently selected and gear engaged are shown in the center of the instrument cluster. Feedback from the drive and chassis settings are also displayed in the instrument cluster under the tachometer. BMW has been testing on the legendary Nürburgring Nordschleife since the 1960s. Every vehicle developed by BMW M since its establishment in 1972 has had to demonstrate its capabilities on the grueling 14-mile circuit before it was deemed ready. So dedicated was the company to fully integrating the Nürburgring into its testing regimen that, in 1991, BMW became the first manufacturer to establish a permanent testing facility on site. Between 2003 and 2008 the test facility was re-built and enlarged without interrupting ongoing test activities. This dedication can be felt from behind the wheel of every product created by BMW M. The new BMW M6 Gran Coupe is the latest model to demonstrate the results of this dedication. 1 – VANOS = VAriable NOckenwellen Steuerung = variable camshaft control, or variable valve timing. Still bugs me to no end that they are calling a sedan a coupe. Take it up with Mercedes, VW and Audi, they've been doing the same thing. Not sure what prompted the "created a raked sedan and call it a coupe" movement, but I like the overall aesthetic results. If you want to really get technical, most cars we call coupes really are not because by definition a coupe is a car with 33 cubic feet of interior room or less (as per EPA). Waiting for a 4 door 8 series gran coupe which began life as an 8 series which is really just a 2 door 7 series. You know it is going happen. I believe the 'Coupe' refers to the rear roof line. The X6 was going to be called a coupe in the beginning, but people laughed. Exterior. BMW M6 Gran Coupé. Interior design. BMW M6 Gran Coupé. Register interest: http://www.bmw.com/M6GranCoupe-updatesM Power with extra luxury and aesthetics. This is the new BMW M6 Gran Coupé.Power: A high-revving V8 engine with M TwinPower Turbo technology. 560 hp. From 0 -- 100 km/h (62 mph) in 4.2 seconds.Luxury: for up to five passengers, the BMW M6 Gran Coupé offers generous levels of on-board comfort. The standard specification also includes Merino leather upholstery with extended features. The driver and front passenger can look forward to M sports seats with integral belt guides.Aesthetics: elegantly sporty lines, carbon fibre-reinforced plastic (CFRP) roof. 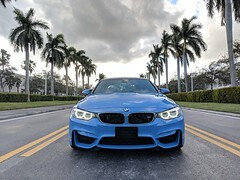 The front of the car is dominated by its large air intakes, standard Adaptive LED Headlights and an M kidney grille designed especially for this model. Register interest: http://www.bmw.com/M6GranCoupe-updatesElegantly sporty lines, carbon fibre-reinforced plastic (CFRP) roof. This is the new BMW M6 Gran Coupé. The front of the car is dominated by its large air intakes, standard Adaptive LED Headlights and an M kidney grille designed especially for this model. Register interest: http://www.bmw.com/M6GranCoupe-updatesFor up to five passengers, the new BMW M6 Gran Coupé offers generous levels of on-board comfort. The standard specification also includes Merino leather upholstery with extended features. The driver and front passenger can look forward to M sports seats with integral belt guides. The X6 was going to be called a coupe in the beginning, but people laughed. The internal designation for the X6 is the E71 5SAC (Sports Activity Coupe) so it didnt totally go away. And I got to check out a M6 Grand Coupe today. Its incredible. The frozen silver is gorgeous and looks great with the carbon fiber roof. I loved it. Yup. It's one thing to buy them. The COST of ownership will cull the herd. In early summer 2013, the all-new BMW M6 Gran Coupe will join its famous BMW M5 Sedan and M6 Coupe siblings as what is perhaps the perfect combination of both. The BMW M6 Gran Coupe is an ultra-high performance, four-door Coupe design with stunning aesthetics, race-bred technology, and the signature driving character of BMW M GmbH. That is a hot looking car. / thread.